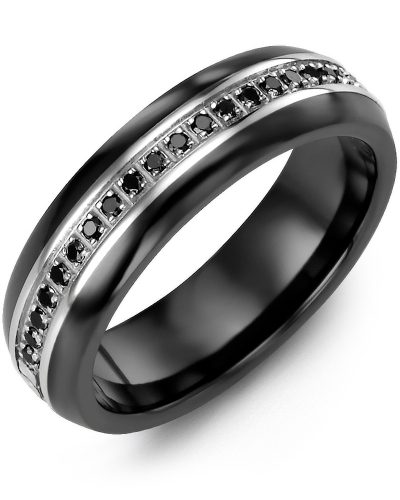 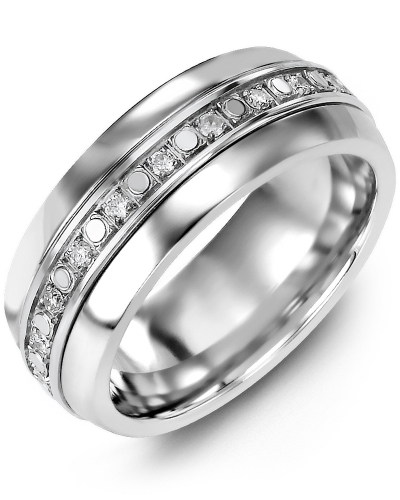 MFR - Eternity Accents Wedding Band A stylish addition to any contemporary jewellery collection, this Eternity Diamond Cut Wedding Band will add a touch of class to your everyday ensemble. 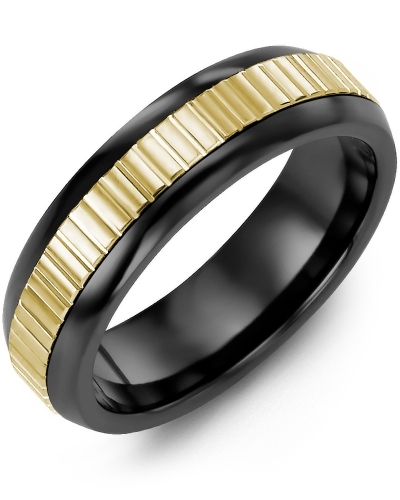 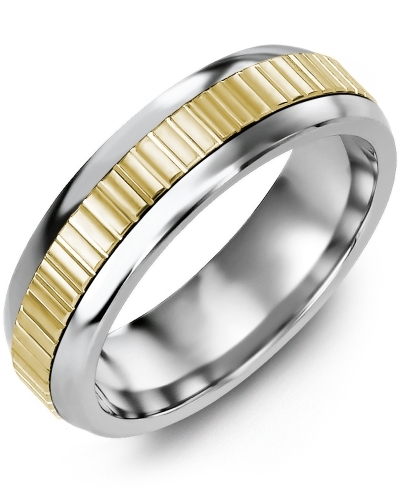 Available as a ceramic ring, a cobalt ring, or a tungsten ring, this two tone treasure features a yellow, white or rose gold insert, in 10kt, 14kt or 18kt options. 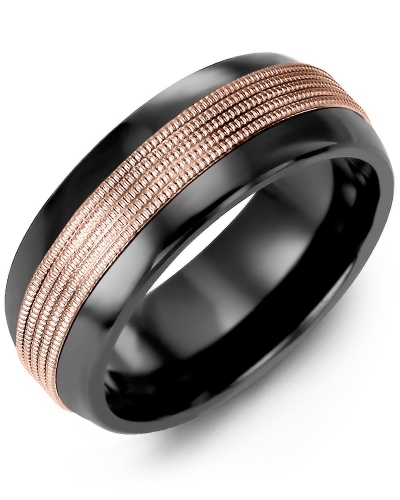 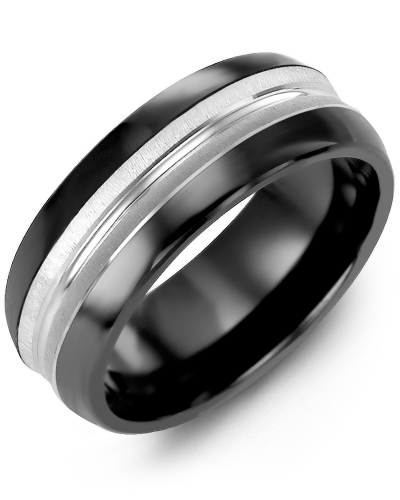 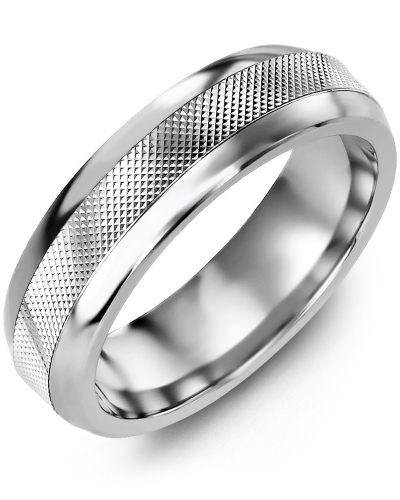 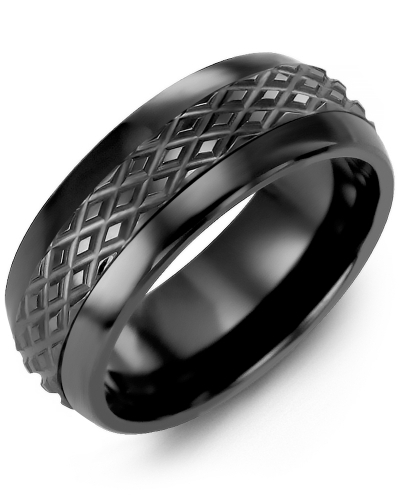 The inside of the band can be engraved, and it is offered in both 6.5mm and 8.5mm variations. A stylish addition to any contemporary jewellery collection, this Eternity Diamond Cut Wedding Band will add a touch of class to your everyday ensemble. 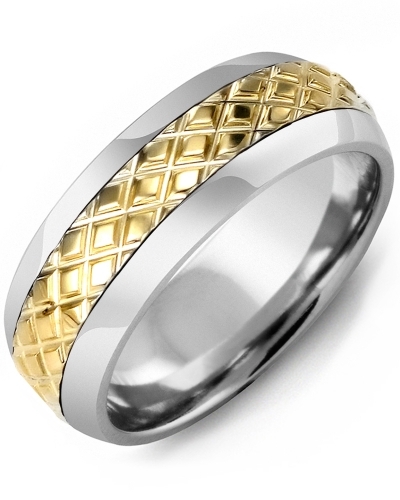 Available as a ceramic ring, a cobalt ring, or a tungsten ring, this two tone treasure features a yellow, white or rose gold insert, in 10kt, 14kt or 18kt options. The inside of the band can be engraved, and it is offered in both 6.5mm and 8.5mm variations.